FlyQ EFB, for both iPad and iPhone, is a top-rated aviation app because it makes your flying easier and safer by thoughtfully integrating powerful features in a way that minimizes the number of screen taps and uses larger fonts to increase readability. 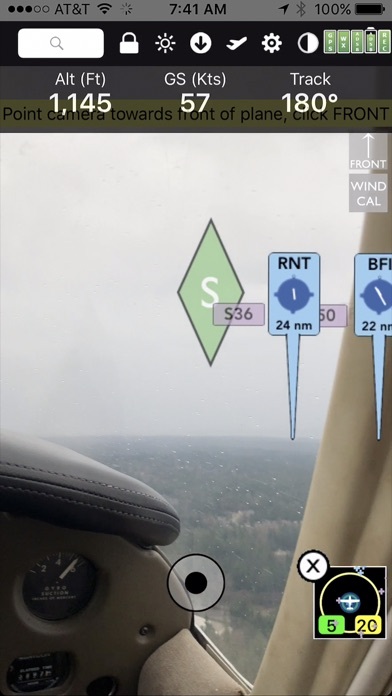 The exclusive Augmented Reality (AR) feature adds a new dimension to situational awareness. FlyQ supports more than 20 ADS-B and in-panel devices (Stratus 3, Avidyne, Dynon, Stratux, Merlin, Dual, FreeFlight, L-3, etc.) and is reasonably priced with subscriptions starting at just US $69. Our patent-pending Slingshot wireless ChartData system means FlyQ can supply maps, plates, and airport diagrams wirelessly to certified and experimental systems like the BendixKing xVue Touch and AeroVue Touch. Other key features include split screen, 3D synthetic vision, flight recorder / playback / export, plates on the map, more than 4,600 airport diagrams, rich Documents support, extended runways, distance measurement, fuel prices, NOTAMS, wind-optimized flight planning, and plates/diagrams for Mexico and Central America. > Maps Your Way + 2D maps, 3D Syn Vis, Augmented Reality + Sectionals and IFR charts + Photo, road, terrain maps + Radar (Static or animated) + Satellite (Visible or IR) + Flight Track + Fuel prices + TFRs + Obstacle and terrain avoidance + AIRMETs/SIGMETs + METARs/TAFs + Supports 20 ADS-B systems + Extended runways with right-pattern indicators + Procedures on map + Rings / Extended Course Line + CAP grid + Personal Waypoints + Helicopter and Gulf of Mexico charts A tap switches from 2D to 3D Syn Vis to AR and back again. Syn Vis includes HITS boxes, EFIS display, TAWS, Obstacles, and AHRS support. Night Mode preserves your night vision. Split screen (iPad only) and single screen. > Procedures FlyQ includes the same Seattle Avionics geo-referenced approach plates and apt diagrams that we certified for FAA DO-200A compliance with certified avionics from BendixKing and Aspen. Split screen can show a map and a procedure simultaneously. Swipe to switch procedures or tap to list all procedures at an airport. Overlay procedures on a map. Annotate plates and diagrams with colored lines and text. > Flight Planning Your Way 1. Enter a series of indents in the Search box. For IFR flights, FlyQ automatically looks for and uses recently cleared ATC routes. 2. 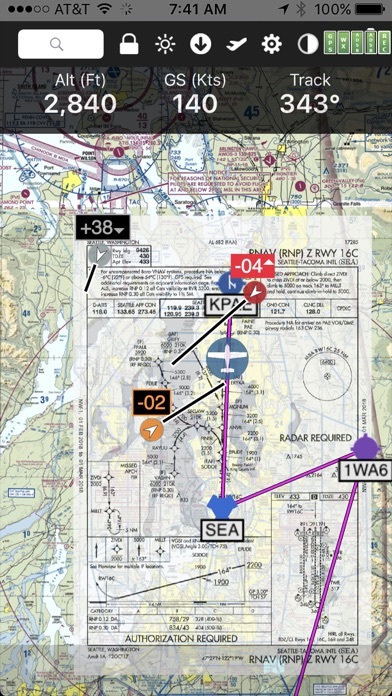 Use the Plans tab to compute a wind-optimized course along Victors, Jets, or Terrain Avoidance. FlyQ uses expected winds to plot the fastest course, saving time and money on every flight. 3. Rubber-band flight plans on the map. 4. Enter lat/lon points, Personal Waypoints, or even airway/airway intersection points 5. Choose from 9 Search and Rescue patterns 6. 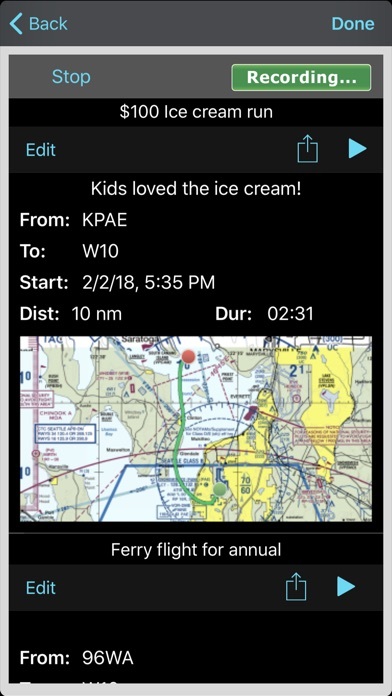 Send/receive flight plans with Dynon SkyView, Avidyne, and the Aspen Connected Panel 7. Practice using X-Plane or MS Flight Sim / Prepar3D Flight plans are automatically shared between all your devices. 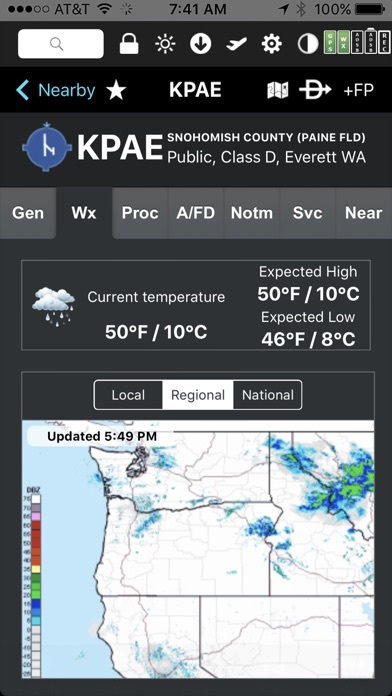 > Weather FlyQ EFB uses your GPS position to display the current temperature, Nexrad images, METARs/TAFs, and a 7-day forecast. 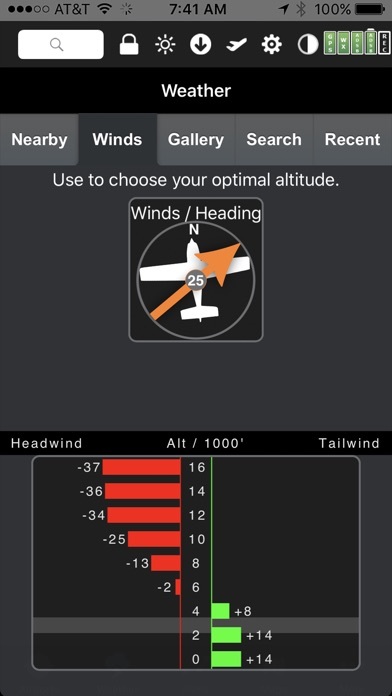 The patent-pending Graphical Wind Optimizer uses red and green bars to show the headwind or tailwind at different altitudes. Also includes a gallery of US and Canadian weather images. Use FlyQ Online for even better weather support. > Airport Information FlyQ makes it easy get airport information: Enter an ident in the Search box, double-tap a map, touch any entry in your flight plan, or watch a list of nearby airports that updates as you fly. The Airport screen concisely shows key operational info, satellite images, and runway diagrams on a single screen. Weather, approach procedures, A/FD, and FBO info are just a tap away. Now includes more than 4,600 SA Airport Diagrams! > Data Manager FlyQ makes it painless to download new data every month: spin and zoom a 3D globe to visually select the states you're interested in. 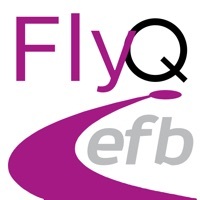 > Try it before you buy it Experience everything FlyQ EFB offers with a free 30-day subscription. More by Seattle Avionics, Inc.